Field Service Engineer/Fitter- Groundcare Machinery Paying £24k plus Van, Fuel Card, Benefits Covering the South West - M4 Corridor The Role The Field Service Engineer/Fitter will be expected to build and repair a wide range of Ground Care machinery for several of our key customers. You will be required to attend breakdowns reported into the breakdown team and also complete service and repair to machinery on a proactive basis. If you have the Groundcare experience, please apply. The Field Service Engineer/Fitter will be expected to build and repair a wide range of Ground Care machinery for several of our key customers. You will be required to attend breakdowns reported into the breakdown team and also complete service and repair to machinery on a proactive basis. If you have the Groundcare experience we are looking for please do not hesitate to apply. *Repair and maintain equipment on sites. *Attend breakdowns as specified by your supervisor. *Repair customer machinery that is brought into the workshop. *Ensure the van is fully equipped at all times. *Assist in other regions if needed. *Carry out other duties as and when required. *Be a key driver in serious about safety by leading from the front. *Experience in fitting mechanical and electrical equipment. *Computer literate (All spares are ordered via a computer or PDA). *A willingness to travel to assist other colleagues at busy periods. The Field Service Engineer/Fitter- Groundcare Machinery, will work for one of the UK's original and national supplier of tool and equipment hire and services. 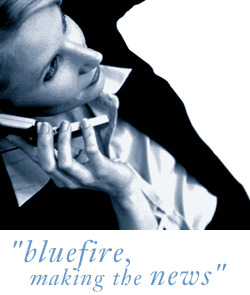 Bluefire Consulting is an equal opportunities Employment Business/Agency specialising in Agriculture Fishing and Forestry recruitment on a UK wide basis.